Parsley sleeps up to 3 and is perfect for a young family. Sage sleeps up to 5 in two bedrooms with a "jack and jill" bathroom. Rosemary sleeps up to 5 in two bedrooms and has an open plan kitchen and sitting room. 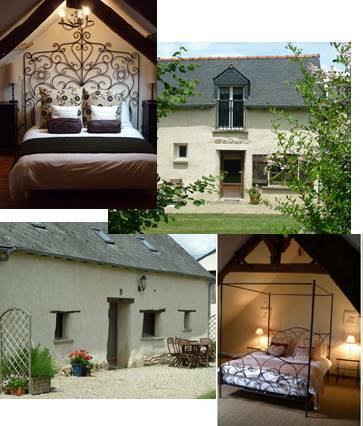 Thyme sleeps up to 2 people, this is a romantic little cottage which stands on its own overlooking the garden. ​WiFi is available, though please bear in mind the property is rural and the walls are over a meter thick and made of cob and granite! ​Rates shown are for direct bookings only. For high season, rental period is Saturday to Saturday for Rosemary & Sage. ​Evening meals available on day of arrival. Grazing Platter available any week day evening. Start up Pack - click here for further details, please order on booking.